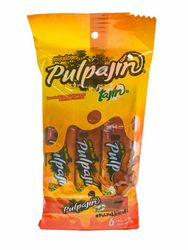 Tamarind Flavored Soft Candy - Pulpa Sabor Tamarindo. Pulpalicious d'Tajin. #Pulpalicious! 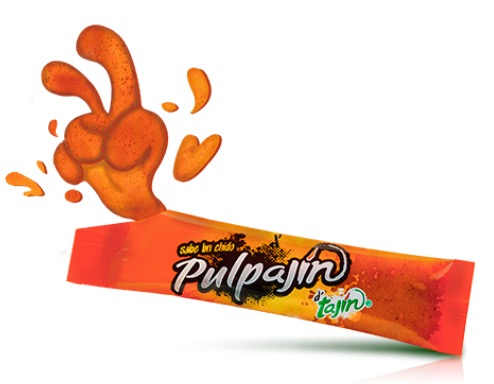 PULPAJIN with Tajin is a tangy taste of tamarind? The best tamarind pulp ever made! Backed by the quality of TAJ?N chilies and packaged for you to enjoy anytime, anywhere. 6 Snacks of 0.65 oz (18g) in each bag. Note: 3 Pack bags of 6 units (6 x 1 inches long) each a total of 18 pieces. 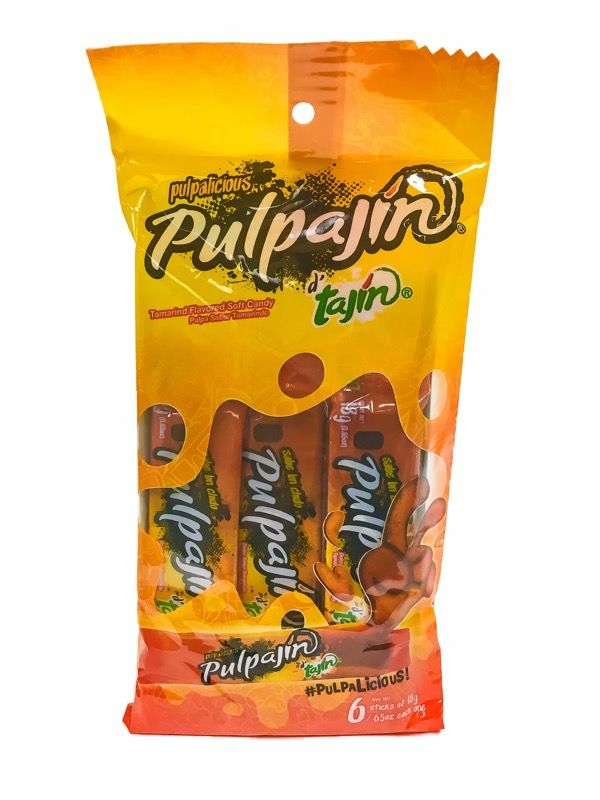 PULPAJ?N es la mejor Pulpa de Tamarindo jamas hecha, respaldada con la calidad de los chiles de TAJ?N?, en un empaque para que lo disfrutes en cualquier momento y en cualquier lugar. Pulpaj?n Sabe bn chido. Nota: 3 bolsas con 6 piezas cada una, para un total de 18 piezas. Looked everywhere for this product and could not find it. Finally found it here and my boyfriend was overjoyed! He loves this stuff! Will order more soon.